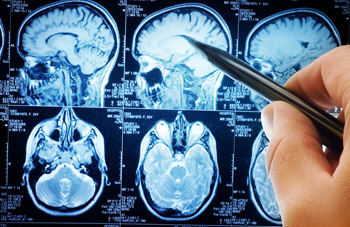 Magnetic Resonance Imaging (MRI) is a diagnostic imaging tool which uses a powerful magnetic field and radio waves to produce detailed images of the body. Unlike CT scans or traditional X-rays, MRI uses no ionizing radiation and has no known side-effects. MRI offers a non-invasive way to obtain highly detailed images which may help your physician evaluate a wide range of conditions within your brain, spine and muscles, including stroke, multiple sclerosis, cancer, joint abnormalities and back pain. Choice Diagnostic Imaging is proud to offer the latest in MRI technology with our non-claustrophobic, wide and short bore Philips 1.5t scanners. Our MRI scanners are designed for enhanced patient comfort with a wide, short-bore magnet. Improved patient comfort during examinations results in less motion and fewer repeated scans. With our advanced technology, we are able to complete most procedures within 20 to 30 minutes.